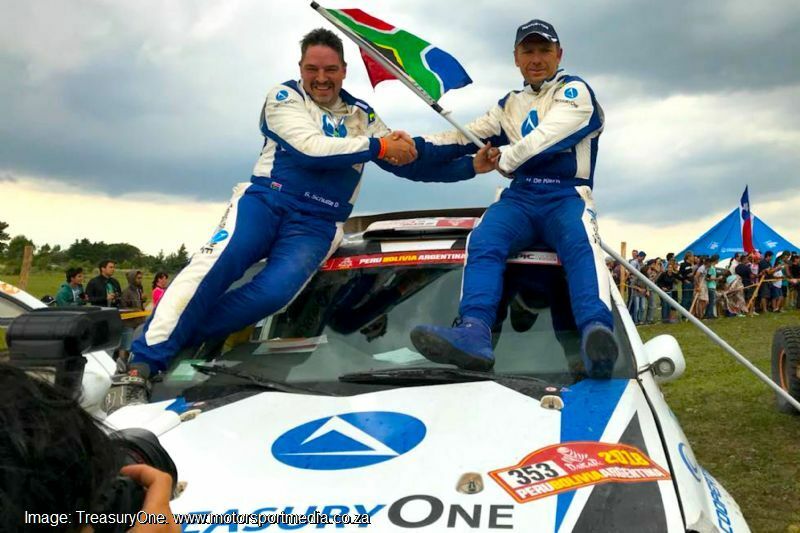 South African duo Hennie de Klerk and Gerhard Schutte brought their locally built TreasuryOne Amarok home to victory in the rookie rankings of Dakar 2018 this afternoon. The Pretoria crew was ecstatic, albeit totally exhausted as they mounted the finishing ramp in Cordoba, Argentina in the incredible culmination of a five-year dream. 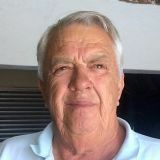 Former track racer de Klerk sought advice on how he should go about tackling the Dakar and was told to go and race the local Cross Country championship, which he did. 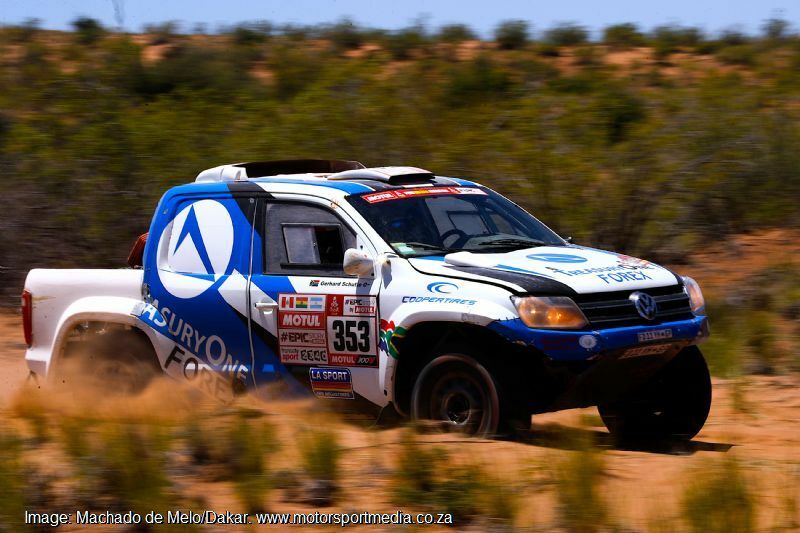 He looked, learned, raced and gained experience and last year built the TreasuryOne Amarok. 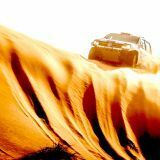 The Ford V8-powered machine was conceived with one mission in mind - to finish the Dakar. 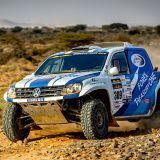 Then in June last year, de Klerk won the Dakar Challenge award in the Toyota 1000 Desert Race in Botswana, a prize which covered Dakar’s entry fee and the cost to get the Amarok to and from South America to compete. 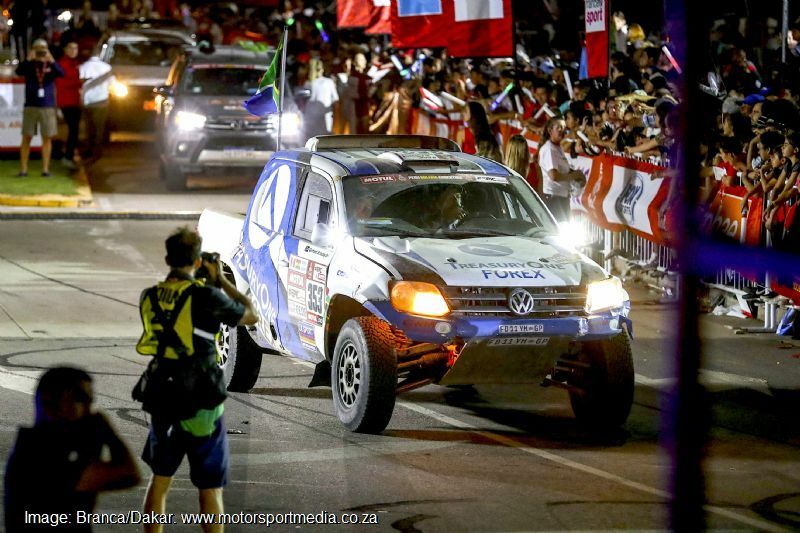 From there it was a blur as the team prepared flat out to ready the bakkie to leave in November, before jetting into Peru for the start at La Paz. 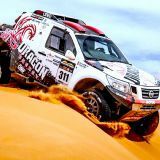 For the Dakar, de Klerk teamed up with a formidable co-driver in Gerhard Schutte, popularly known as MacGuyver in Cross Country circles. 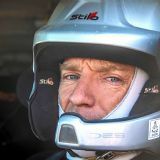 Gerhard brought the necessary Dakar experience and credo to the team having had a major part in getting his car to the finish the Taklimakan Rally in China — a 13-day race using Dakar navigational standards last year. 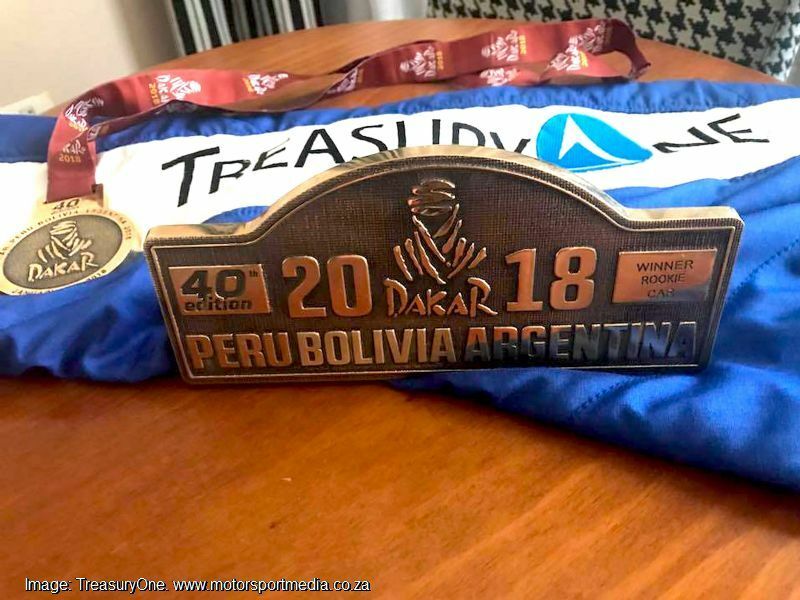 The TreasuryOne’s team’s objectives were simple — to stand on the podium at the finish at Cordoba, but little did they know that this would end up being recognised as one of the hardest Dakars ever — perhaps the toughest yet in the ten years the race has run in South America. 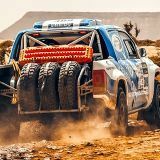 The race started well for de Klerk and Schutte and by Tuesday evening they sat 34th overall, but Dakar bore its teeth on Wednesday’s third day as the duo lost time looking for an important waypoint before they experienced brake and power steering issues that saw them spending 9 hours in the stage. 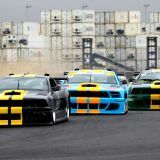 Still they emerged in 32nd overall and leading a tight dice for an unexpected rookie lead into the rest day. 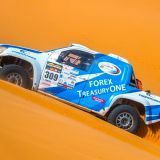 Saturday’s sixth and the first day of a no-service marathon stage however proved the team’s nemesis as Hennie struck a rock in thick dust behind a T5 truck. That's where MacGuyver Schutte came in, pulling off a minor miracle to get the TreasuryOne Amarok going again with a little help from Hennie and an eager band of locals. 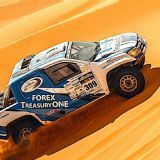 They lost ten hours and were unlucky to incur an extra four hour penalty for being just six minutes late into the impound, but the TreasuryOne guys were still in the Dakar, in 36th overall and third, albeit well back in the rookie race. 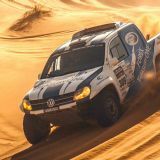 Hennie took it easy on Sunday to make sure the roadside repaired Amarok finally reached service, but one of their rookie rivals retired and the other lost several hours. 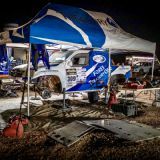 Monday was cancelled due to bad weather and the team had a good run on Tuesday and Wednesday, in spite of an accident with a four-wheeler hidden over a dune, causing yet another all-nighter for the crew to fix the damage. Although fighting off the challenges of exhaustion, Hennie and Gerhard enjoyed another positive day on Thursday to retake the rookie lead as their main rivals there had a difficult day in the dunes, before avoiding all the trouble so rife on Friday’s cruel thirteenth day to bring it home 28th overall, leaving only the WRC stage in to realise that dream in Cordoba on Saturday afternoon. 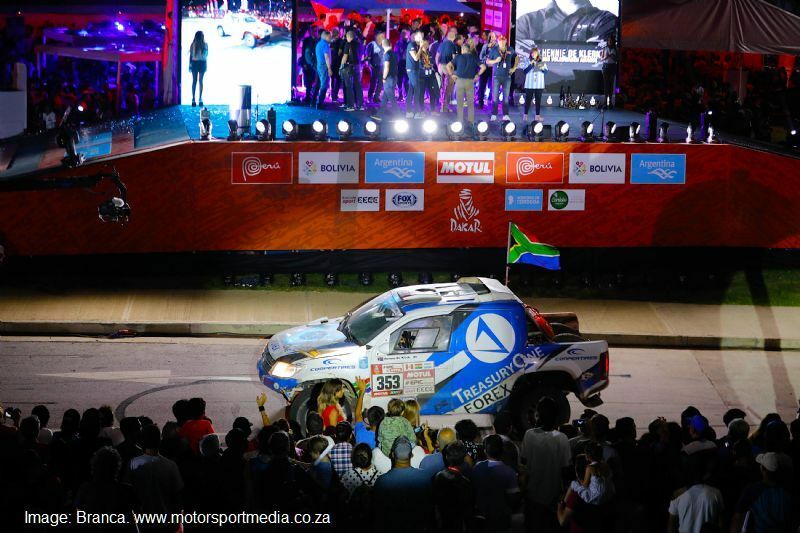 The lads took it easy to the finish and duly parked the TreasuryOne Amarok with its Ford V8 engine (and a Hilux headlamp too) on the Dakar finishers podium to realise an incredible dream. De Klerk and the team will no doubt celebrate late into the night before taking a much deserved rest and jetting home Tuesday morning.